Fantasy Premier League midfielders Erik Lamela and Danny Ward both registered hat-tricks in the latest round of pre-season friendlies. The former scored his in a behind closed doors match between Tottenham and Southend United while Cardiff’s Ward was part of the side that thrashed Cornish side Bodmin 11-1. Elsewhere, Arsenal played a private match against Crawley with just the goalscorers known to us, while Huddersfield saw the return of captain Christopher Schindler and Oumar Niasse continued to threaten for Everton. We’ve got all the goals, assists and Fantasy talking points from another set of friendly matches. Mid-price midfielder Erik Lamela (£6.5m) scored a hat-trick in a behind closed doors friendly for Spurs against Southend United on Wednesday afternoon. With Dele Alli (£9.0m) and Christian Eriksen (£9.5m) expected to miss large portions of pre-season after their involvement in the World Cup, and Son Heung-min (£8.5m) competing in the Asian games with South Korea, Lamela could easily earn an extended run in the Spurs team and prove good value. The Argentinian midfielder opened the scoring in the seventh minute after good link-up with Lucas Moura (£7.0m). He released the winger down the right and directed the cross that came back to him into the net. Fernando Llorente (£6.0m) doubled Spurs’ lead four minutes later after Serge Aurier’s (£6.0m) cross took a slight deflection off a defender and fell to the Spanish striker to stroke home. Lamela profited from a good interchange between Aurier and Moura in the 27th minute, turning in from close range for 3-0. As the match was played behind closed doors, we were unable to confirm which player should be credited with the assist for this goal. Ben Davies (£6.0m) was the next to supply an assist from wide areas, playing a one-two with Lamela, his ball into the middle converted by Moura. Lamela completed his hat-trick before half-time after more good link-up on the right flank again. This was another goal for which the assist is unclear. The Argentinian midfielder continued to show threat in the second-half, his 78th minute pass across goal stabbed home by youngster Tashan Oakley-Boothe. Tottenham did not reveal the full line-up for this particular match, either on their website or social media. We do know that Michel Vorm (£5.0m) started in goal with Hugo Lloris (£5.5m) still on leave having recently won the World Cup with France. Arsenal also played a pre-season match behind closed doors with the information even less clear than was the case with Spurs. Lucas Perez (not yet on FPL) found the net twice, as did Alexandre Lacazette (£9.5m), in a 9-0 win over League Two Crawley Town. Pierre-Emerick Aubmameyang (£11.0m), Henrikh Mkhitaryan (£7.0m), Reiss Nelson and Eddie Nketiah also scored in the game. Huddersfield went a second pre-season match in a row without finding the net, although they dominated possession in Germany. On a more positive note, captain Christopher Schindler (£4.5m) returned to action after being withdrawn with a suspected dead leg against Bury. He featured as a second-half substitute. Forward Elias Kachunga (£5.0m) made his first start since returning from a long-term injury, deployed as the central attacking midfielder in a 4-2-3-1 system. Chris Lowë (£4.5m) was impressive from left-back once again, overlapping nicely with Rajiv van La Parra (£5.0m) in the first-half. Second-half replacement Laurent Depoitre (£5.5m) had the ball in the net late-on after Alex Pritchard (£5.0m) had played him through, but it was ruled out for offside. New signings Ramadan Sobhi (£5.0m) and Erik Durm (£4.5m) were declared in need of fitness before featuring in pre-season matches. HUDDERSFIELD TOWN XI (4-2-3-1): Hamer; Lowë (O’Brien 55’), Hefele (Schindler 45’), Kongolo (Stankovic 75’), Smith (Edmonds-Green 81’); Billing (Sabiri 45’), Hogg (Hadergjonaj 75’); Quaner (Malone 45’), Kachunga (Pritchard 45’), Van La Parra (Williams 81’); Mounié (Depoitre 75’). Assists: Sol Bamba (£4.5m), Joe Bennett (£4.5m), Jazz Richards (£4.0m), Mendez-Laing, Reid, Harris, Ward. It is now four goals in two pre-season matches for Cardiff City midfielder Danny Ward (£4.5m), who netted a hat-trick against Cornish side Bodmin Town and registered an assist too, playing in advanced position. Forward Bobby Reid (£5.5m) was deployed in midfield once again but still made it two pre-season goals in as many games since joining the Bluebirds from Bristol City, while Kadeem Harris also recorded a hat-trick and Josh Murphy (£5.0m) got a brace. Reid opened the scoring by getting the final touch on Sol Bamba’s (£4.5m) header from a Murphy corner. Nathaniel Mendez-Laing (£5.0m) netted the second following a decent overlapping run from left-back Joe Bennett (£4.5m). Harris got his first goal from the penalty spot after he was fouled in the box. Murphy scored his first goal since joining Cardiff from Norwich a few minutes later. Bamba’s interception released right-back Jazz Richards (£4.0m) who crossed for Murphy to cut inside and find the net. Harris got his second of the night after a cross from Mendez-Laing. He took the ball into his stride and fired a right-footed strike into the net. In the 29th minute, Bodmin managed to get themselves a goal agains the run of play. Max Gilbert beat the offside trap following a long-ball and he was able to smuggle the ball underneath an onrushing Alex Smithies (£4.5m). Midfielder Ward then scored quick fire brace to make it 7-1, heading home a Reid cross and then adding another two minutes later. Harris completed his hat-trick in the second-half after he was fouled in the area again. He converted the penalty for 8-1. Minutes later, he was brought down in the box for a third time although it was Ward who took the spot-kick, completing his hat-trick too. Murphy scored the tenth before substitute Gary Madine (£4.5m) added his third pre-season goal by heading in Ward’s cross for 11-1. CARDIFF CITY XI (4-4-2): Smithies; Bennett (Cunningham 60’), Bamba, Connolly (Peltier 60’), Richards; Harris, Reid (Manga 60’), Damour, Mendez-Laing; D Ward, J Murphy (Madine 60’). Oumar Niasse (£5.5m) scored for the second pre-season match in a row, although once again, Cenk Tosun (£7.0m) started the match ahead of him, alongside Sandro Ramirez. Niasse could have netted more than his one goal but hit the post three-times in the second-half. There were starts on the wings for Kevin Mirallas, scorer of five goals against ATV Irdning, and youngster Kieran Dowell. Maarten Stekelenburg (£4.0m) was the man in goal again with Jordan Pickford (£5.0m) still on extended leave after the World Cup, while Phil Jagielka was the £4.5m centre-back who partnered Michael Keane (£5.0m). Leighton Baines (£5.5m) was a threat down the left-flank while Keane came close to scoring from an early corner. Mirallas and Tom Davies (£5.5m) also had decent chances too with Tosun linking up attacking play. Against the run of play, Bury took the lead just before half-time. Jagielka’s clearance only went as far as Adam Thompson, who crossed in for Neil Danns to find space and score. It was after nine changes at the interval that Everton struck the woodwork four times in total. Niasse found the post on three occasions before finally converting Matty Pennington’s long-ball. 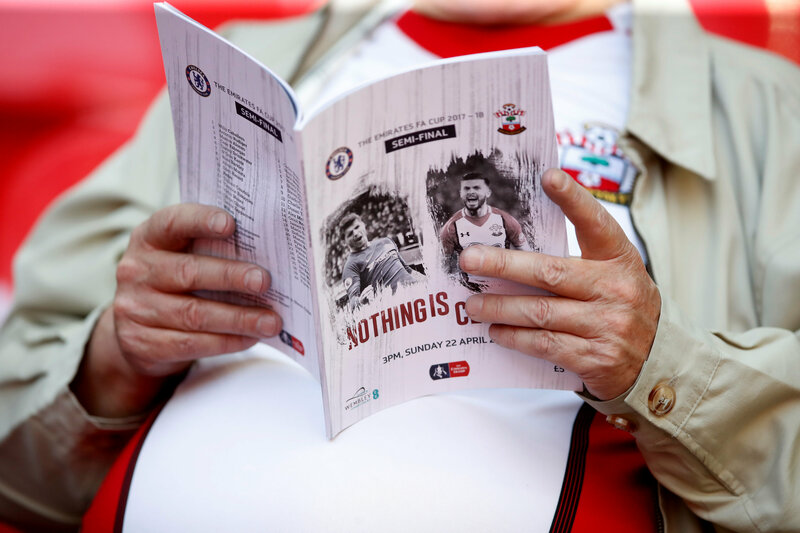 Cuco Martina (£4.5m) hit it again, this time with a header 13 minutes from time, before Niasse nearly found a winner, forcing a low save from the goalkeeper. EVERTON XI (4-4-2): Stekelenburg; Baines (Robinson 45’), Keane (Pennington 45’), Jagielka (Williams 45’), Coleman (Kenny 45’); Dowell (Connolly 45’), Davies (Besic 45’), Schneiderlin (Klaassen 45’), Mirallas (Vlasic 45’); Sandro (Martina 75’), Tosun (Niasse 45’. Fenerbahce ran out 3-0 winners over a youthful Fulham side, with more first-team players joining the match in the 65th minute. One of those substitutes was Ryan Sessegnon (£6.5m) who has captured the attention of Fantasy managers already; he came on to play on the left-flank of a front-three for the second time in pre-season. His younger brother Steven had the first chance after bombing forward from full-back but could only find the side-netting. Brazilian midfielder Guiliano opened the scoring in the 28th minute connecting with Mauricio Isla’s cross and directing over Marek Rodak in the Fulham net. Hassan Ali made it 2-0 just before half-time latching onto Aatif Chahechouhe’s cross. The Turkish side scored their third after manager Slavisa Jokanovic had introduced more senior players to the match, when Ozan Tufan’s cross crept under the crossbar. Fulham struggled to threaten the Fenerbahce goal in the second-half with shot stopper Carlos Kameni putting in a strong performance. FULHAM XI (4-3-3): Rodak (Bettinelli 65’); S Sessegnon (Christie 65’), Jenz (Le Marchand 76’), Djalo (Odoi 65’), Fossey; de la Torre (Johansen 76’), O’Riley (Francois 76’), Cisse (Cairney 65’); Thorsteinsson (R Sessegnon 65’), Kait (Fonte 65’), Kebano (Kamara 65’). Hi again fellow fantasy football companions. This is my first draft of the season and I would appreciate it a lot if you give it a comment from your point of view. Thanks in advance. Lot of non-starters. Kaku an De Bruyne to Aub and Mahrez. Yeah I'd keep in mind that a few players may be home late after the world cup (Otamendi, Pope, Jones, Kdb, Lukaku, Aguero, Firmino spring to mind - to a lesser extent Milivojevic). Otherwise you have picked all good players. Fairly sure I’ve just made my team worse. How’s she looking? Fixtures seem good for all...any good?